Tales of the Elsmo Four: Good Results! Emma is becoming quite the baker and opted to tackle a rather complicated recipe she ripped from a magazine today. 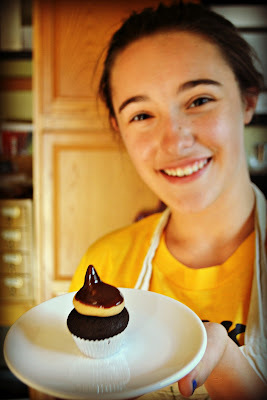 The recipe was long and involved compared to things she's tried in the past, but Emma's patience and hard work paid off. 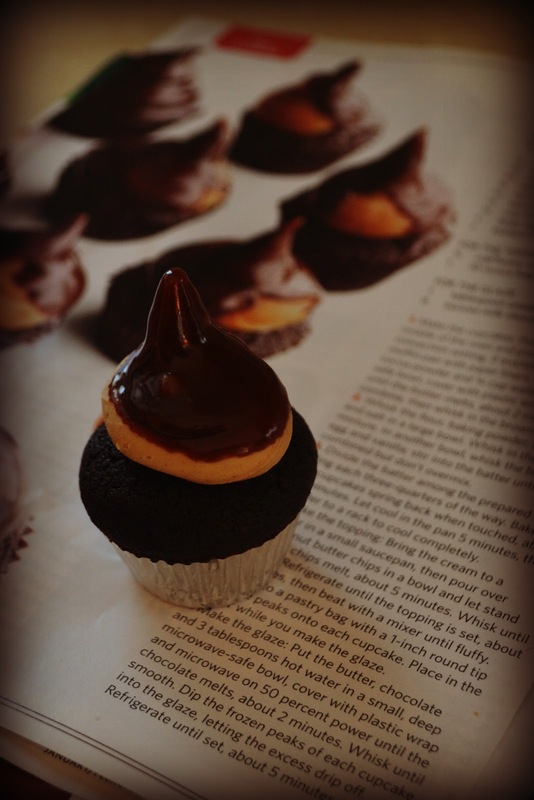 She ended up with dozens of adorable Peanut Butter Cupcakes. Not only did they look like they came out of the magazine photo spread, but they tasted great, too!